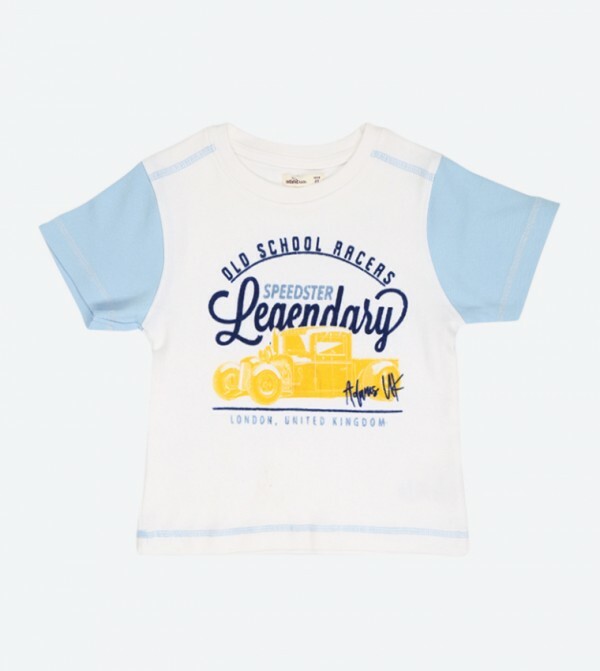 Make your little one look incredibly cool and stylish, as you dress him up in style with this white T-shirt from Adams Kids. Made from cotton, this T-shirt features a round neck and a print on the front. This regular fit T-shirt can be teamed with a pair of jeans and sneakers to complete his funky look.